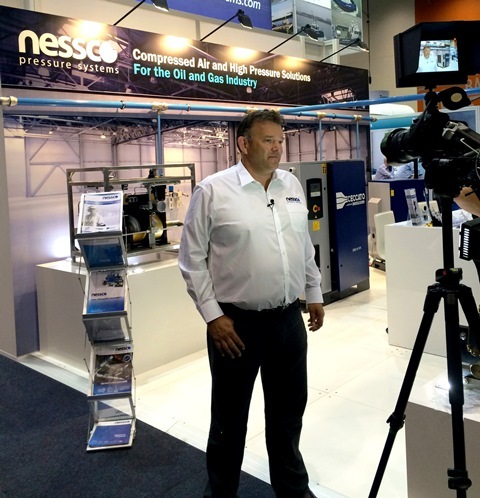 Nessco Pressure Systems showcased at the 2016 Australian Oil and Gas Show (AOG) and this year’s feature product was our custom made Universal Test Bench or we like to call it a Blue Box! 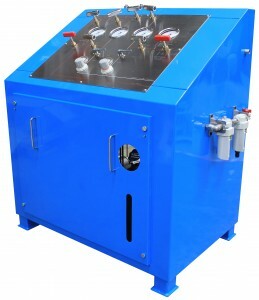 This new to market Australian built Universal Test Bench was custom made for one of NPS’s customers in 2016, it is suitable for any test environment where fluid or inert gas is required at a maximum test pressure of 10,000 PSI. The unit could be used in conjunction with a safety cell where process valves/ pressure relief valves or hoses are tested. If you would like to know more about the Universal Test Bench or Blue Box please contact our high pressure specialist Louis! For the fourth year in a row, Nessco Pressure Systems took part in the 2016 Australasian Oil and Gas Exhibition from 24th – 26th of February! 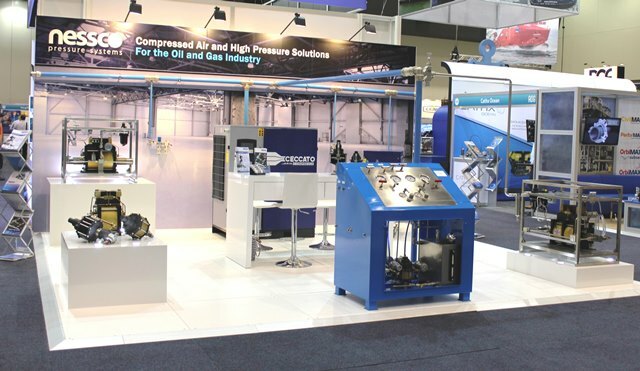 NPS took advantage of Australia’s largest oil and gas exhibition, by presenting a large range of their compressed air and high pressure solutions. This year we presented new and innovative products on a large 36m2 stand E13. 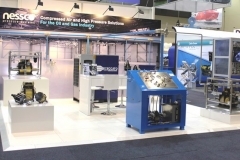 We exhibited our new Australian custom made Universal Test Bench as well as old and new favourites from Hydratron and Ceccato. 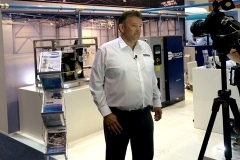 For the second year in a row, our stand incorporated a live demonstration of a compressed air system, outlining how the NPS range is a complete solution. This complete package provided patrons the opportunity to interact with the equipment, and see exactly how it operates. Linking one of our Hyratron DHDA pumps with our mini Ceccato CSM 7.5HP Compressor was their innovative aluminium and new stainless steel Infinity Pipe. This year we hosted a Sundowner on the middle night of the AOG, we invited staff, clients, and other exhibitors to enjoy a couple of complimentary drinks and nibbles on the stand. The night was a huge success with many people making the trip and filling the stand for a night of fun and networking. Check out our feature product for 2016 an Australian custom made Universal Test Bench! 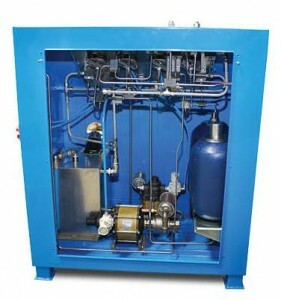 This new to market Australian built Blue Box was custom made for one of NPS’s customers in 2016, it is suitable for any test environment where fluid… Read More! If you would like more information about the above items please download our AOG 2016 Brochure found here.